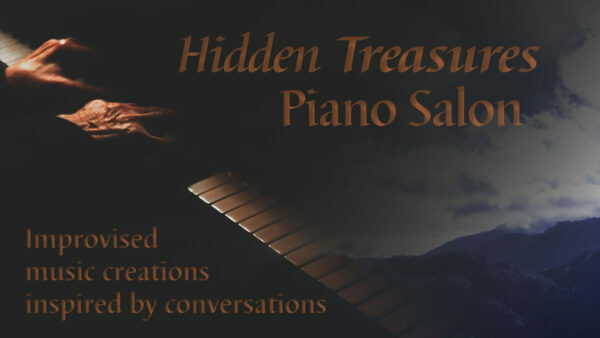 In April I hosted two Hidden Treasures Piano Salons. These are unique intimate gatherings of up to 10 people in my home studio. 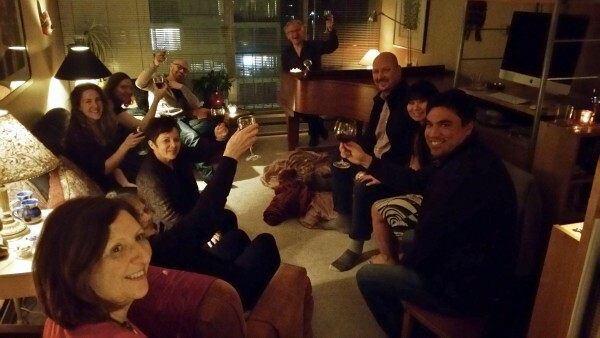 These impromptu Piano Salons were so fun that I plan to do them regularly. I may or may not schedule these salons. It’s been fun being spontaneous and choosing to have one with as little as half a day’s notice. Perhaps I’ll do a combination of planned and inspired events. My primary method for notifying interested people is by text. If you want to get first dibs on an upcoming Piano Salon, contact me at Craig@UnderThePiano.ca and provide me with a mobile number to which I can text message an invitation. Do not provide me with a landline number. You’ll be inundated with numerous automated attempts to send a text to that number. It’s not fun and I am speaking from recent experience when I mistakenly sent an invitation to a landline number. Do this to get invitations to the Hidden Treasures Piano Salons. Here’s a track called Tektite Pendant from the second Piano Salon. This piano improvisation was inspired by a pendant worn by a guest at a Hidden Treasures Piano Salon. These music salons include a series of piano improvisations inspired by the conversations of the participating guests. In this case, the guest chose to be silent and simply place in my hands a pendant. She said my musical journey captured the essence of the pendant well. I learned after the improvisation that the pendant was a piece of tektite, which is formed from terrestrial debris ejected during meteorite impacts. And a little movie featuring an excerpt from the same track. The photos are macro photos I took of my grand piano, the piano you are hearing in this recording.